Today is the last day you can add your link on the MFT blog to attend at the Summer School Challenge. So hurry, if you don't wanna miss to win some awesome prize vouchers for their products. I made this card using the Botanical Love stamp set by Create a Smile. The Lesson #9 over at the MFT blog is about Secondary Colors, so I pick orange, green and purple Copic Markers to color the flower and also the leaves. Doesn't these beautiful colors scream Summer to you? As you might see, I applied also the Wink of Stella Glitter brush and Glossy Accents on my flower. For the final touch, I used some orange sequins that I stuck down with my Multi Medium Matte Glue. I hope, you had fun. Enjoy the card and have a nice weekend. 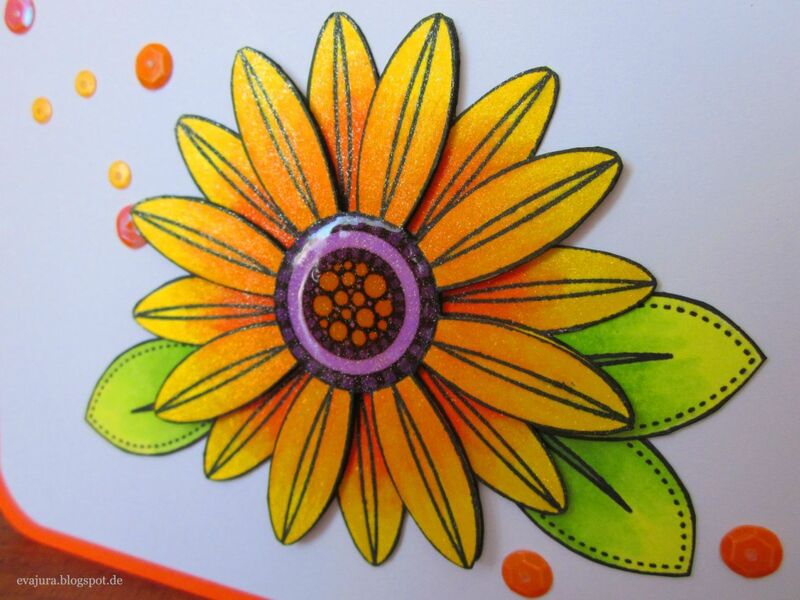 Love your colorful dimensional and sparkly flower card! This image really implies summer. Thanks for playing along with us at the Stempelküche challenge again. wow that flower is gorgeous! love the colors!! 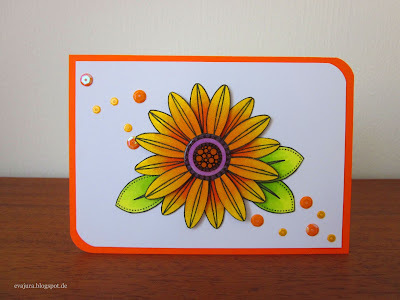 thank you for playing with us at simon says stamp wednesday challenge! You did such a great job with this card! I love the colours and the dimensions you created! It's beautiful! 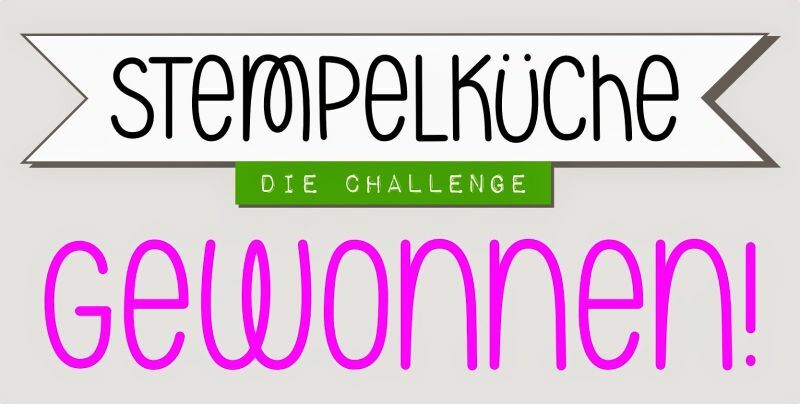 Thanks for sharing your talent at Stempelküche challenge and good luck to you!